It is a tough decision to sell your horse. Here is a guide to help you get your horse sold on Equine.com. Not only will you target a worldwide audience, you’ll provide detailed information about your horse not often seen in typical classified ads. Now that you have decided to list your horse online, gather all the important information about your horse. First, have your vet fax or mail you your horse's records. If there are any health or soundness issues, make a note of that as well so buyers have all knowledge of your horse's health. 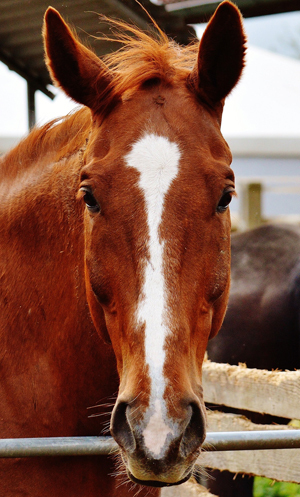 If your horse is registered with a breed association, be sure to have his registration papers available. For show horses, keep a record of the shows he has been to as well as any high placings. Note your horse's height, age and any distinctive markings. Equine.com's photo ads offer unlimited text to describe your horse. Use this section to tell buyers why they should buy your horse. Be sure to let the buyer know your horse's personality, show record or current training level, immunization and worming record, and whether he is on a regular shoeing schedule. There is also a section to add your horse’s pedigree. If your horse is AQHA-registered you can also purchase a certified pedigree. Buyers should have all of their basic questions answered and should feel ready to contact you for an appointment to try out the horse. Videos have become a very powerful marketing tool when selling your horse. The video should show your horse at all three gaits. The video selling your horse is not the time to tackle any training or behavioral issues. Show your horse doing what he does best, even if the horse is young and you only show movement on a longe line. Nothing sells a horse faster than a polished video clip accurately portraying his best attributes. This also helps narrow down the right buyer for your horse. Buyers can contact you directly on your ad. After they hit the "contact seller" icon they can then send you a message or give you a call. For your protection, we do not release your email address until you have responded to the buyer. Be sure that your account information is correct and your phone number is listed. You can update your account under the "My Equine" tab and click on "Edit Account Settings." Be sure to respond quickly to all potential buyers. Even someone who appears to be a "tire kicker" could end up being just the right buyer for your horse. The key is to keep your Internet ad friendly and informative. Feel as though you are having a personal conversation with the buyer. With the combination of great photos and sincere words, you horse will soon be on his way to a good home with a happy new owner.